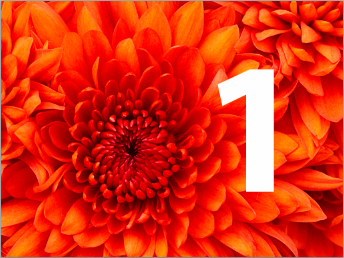 How to create a batch job, numbering images (writing text on them) from 1 to 100 in Photoshop? Looking to create a 100 images that would have their appropriate numbers written on them. Since I`ll be most likely making changes to the template in the future I figured it would be better to automate it somehow. It depends how you define "simple." 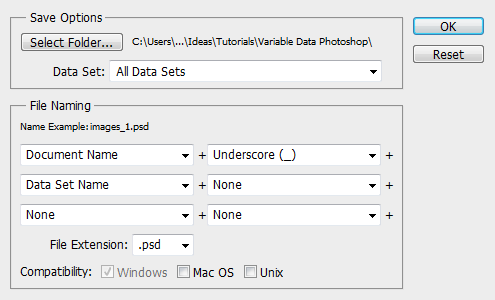 Photoshop has variable data functionality built in, but it's not terribly well documented and is considered an inappropriate subject for polite conversation, such as at cocktail parties or church socials. On the other hand, it's years since I used this myself, so constructing this tutorial has been a good refresher. You need to set up your template. 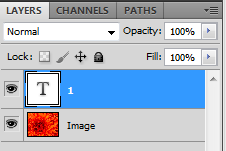 Lets assume that you need two layers: the image (variable) and the number (a text layer, variable). The image layer must be an actual layer, not the background. 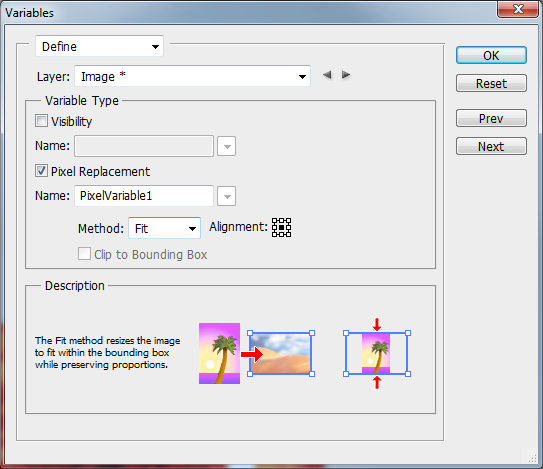 Change the "Name" field to your chosen variable name ("Image") and set the "Method" to what you need. I'm choosing "Fill," which will resize the image proportionally, but you may prefer something else. Information about each method shows in the Description field when you hover on the name. Close the dialog. 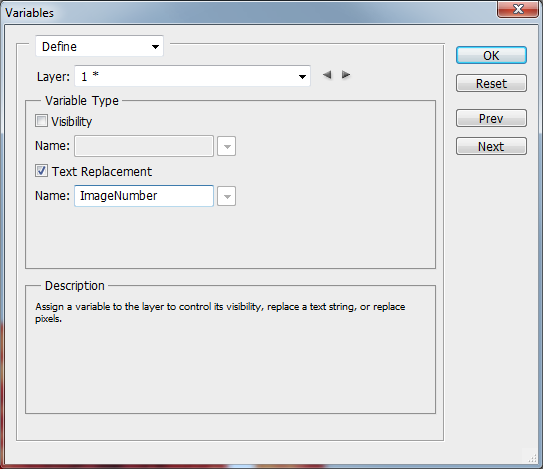 We select the text layer and repeat the process, naming the text variable "ImageNumber." Now we have to define a Data Set, so click the "Next" button in the dialog and click the New Data Set icon (right by the trash can) in the dialog. 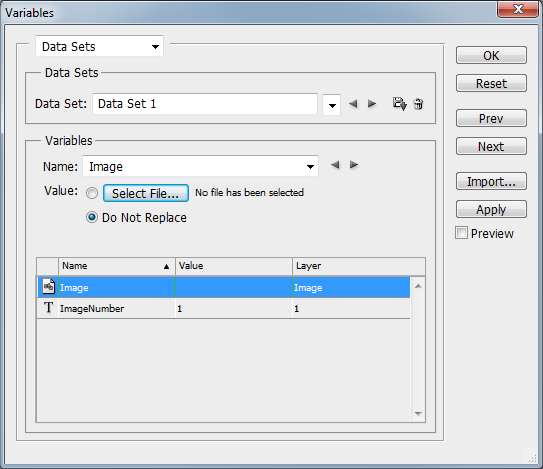 A Data Set is a collection of values that apply to a particular output document, not a complete set of values in a comma-delimited file, so now we define a starting image for our template by clicking the "Select File..." with the Image variable selected. I chose the Chrysanthemum image. Be sure that "Do Not Replace" is NOT selected. Now we have to import the data sets from our comma-delimited file using the "Import" dialog. Exhausted yet? -- There's more. Click OK to close the Variables dialog. The final step is to choose File > Export > Data Sets as Files... and choose a place to save the output, along with your choice of naming convention. When you click OK, the entire set of psd file will be exported to your chosen location. So that i will not do all the work for you you still need to put a for loop around the code posted. Yes, it's a bit similar, but instead of the current question witch is many -> many mine is one -> many and has a bit different and quicker solution. Opened an image, added Type layer with all the styling I wanted. Set Layer: to my text layer's name, set checkbox on Text Replacement and gave Text Replacement variable some Name: (I've named it number). And pressed OK. In first row I've written my variable's name (for me - number). In the below (the 2nd row) I've entered 1. Sometimes for step 3 to work, you need to enter 2 in a 3rd row. Now using standard spreadsheet autocomplete grab the lower right corner of a cell with 1 (or 2) in it and drag down. This way all the cells below should be filled with a sequent numbers (I've generated sequence up to 99). Ok, all you need to do now is export your spreadsheet to CSV. 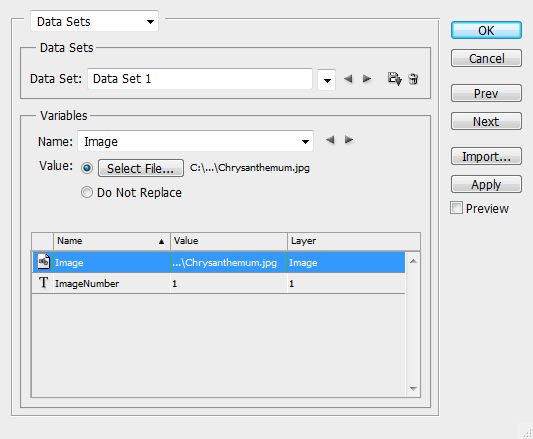 select Import… browse your CSV file, and click OK. You can also check the Preview button to see how your image will look like with certain dataset (number). Once more click OK to save the Data Sets. This script will allow you to convert a lot of psd images into JPEG with one click of a button. Not the answer you're looking for? Browse other questions tagged adobe-photoshop batch-processing or ask your own question. How to automatically create 500 images with increasing numbers in Photoshop? Is there any fast way to create multiple copies of the same image with a different number on every single image? How can I merge a heap of text into an image using Photoshop 2017 CC? Batch Automation: Is there a way to change the image quality, when saving for web?